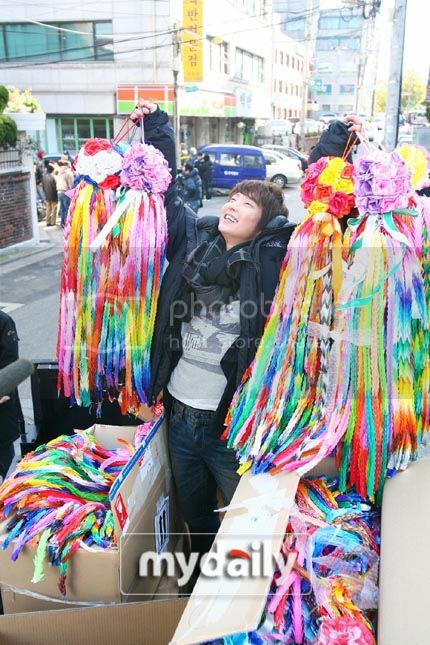 This is sweet (and yay for overseas fans, yet again): in anticipation of Hero‘s broadcast premiere tomorrow, overseas fans have shown their support for lead actor Lee Junki in the form of 30,000 origami cranes. The fan gifts arrived on November 17 at Hero‘s Seoul filming location in a truckload containing fifteen boxes. Lee Junki had been taking a brief break from filming at the time of arrival, and hearing that they’d come from his overseas fans, he opened the boxes himself to confirm the sight. he looks so genuinely excited....its so cute! i hope his drama turns out well! I'm gonna watch his drama to support him and of course if it's good then that's a plus. I am so torn! I love Lee Junki but I also love You're Beautiful and Jang Geun Suk. I want Hero to do well, but not if it affects YB's ratings. The 30 thousand cranes are pretty impressive...especially the way the colours were strung together. Lovely gift from their hearts. What an impressive, gorgeous and thoughtful gift. Kudos to those overseas fans, and to see Junki so genuinely happy and moved in those pictures makes me happy for everyone involved. Go Junki and Hero! 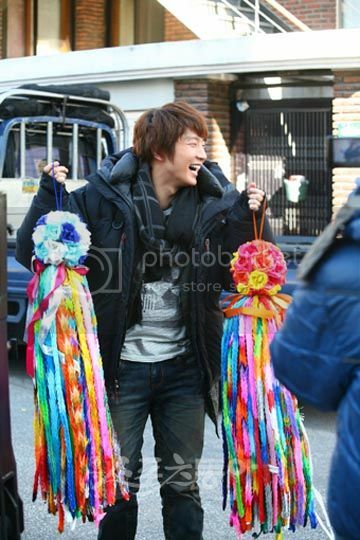 awww.... i love how he was so happy to receive them. here in the states, the boxes would get destroyed among the myriad of bomb detectors, poison detectors, drug dogs, etc. man...asian fan clubs are so freaking organized. LOL! He looks like a cute little chubby boy. Lol. ahaha! Such pinchable cheeks I swear! Lol. Wow, those are so pretty! Pardon me for my ignorance, but where are good luck cranes from? Is it a Korean or Japanese tradition, or is it practiced elsewhere in Asia? Good luck to Hero and LJK, as it won't matter what I watch as I won't be affecting their ratings, but I will catch both YAB and Hero when they are available subbed online! he looks genuinely happy to get those! He's sooooo adorkable!!! gosh I love him!!! kekeke. you fans rock! ooohhh.....love the colors!!! sooo thoughtful.... it would be a very nice thank you gesture if the staff will hang those somewhere and take pictures with LJK..... photoshoot!!! LOL those are cranes? i can't tell. i suppose that's how they look if you stack hundreds on top of each other? Aww, that is so sweet. That's so nice of the fans; imagine how much better he feels, after all those problems with Hero. @ LinaOguri This gift are from his japanese fans...i was quite angry when i read your comment. ^^" but it's ok... anybody can think like that but his fans really did it for him. Wow amazing fans!!! He needs a big house for those origamis!!!! Will definitely check out Hero! I'm really thankful for such enthusiastic fans who help to make us more prominent in the kentertainment scene. Wow! Just read from Naver that it's actually 220,000 cranes, and not 30,000. Wonder how long it took his fans to fold them? His fans are really amazing! Definitely going to watch HERO which looks like it's going to be lots of fun! how do you make paper cranes? He is so adorable here. I love how he is just ecstatic being surprised by overseas fans. Go overseas fans! That must have take a lot of time and I love that they sent a handmade gift. I think the buffet's are more useful.. at least it fills the stomach.. I hate when people put Koreans in a box. I really wish people would stop generalizing Koreans as a race. All humans are messed up. 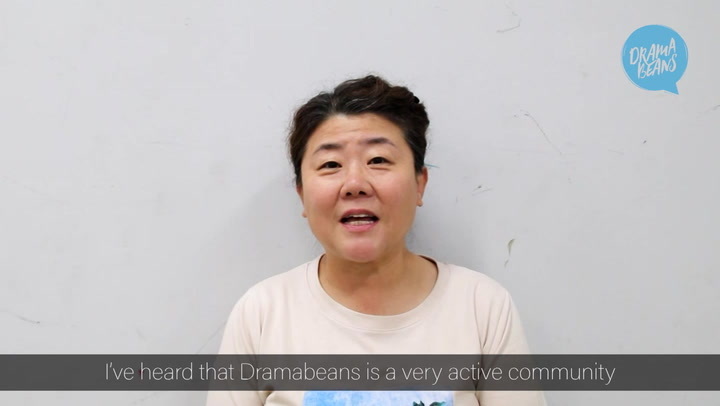 Not just Koreans. holy jesus that is a LOT! wow, Lee Junki is such a lucky guy to have such a fan base , it must have touch his heart ( i think he must be crying inside and moved by their act ). haha, he's like a little kid opening up xmas presents!! it's adorable!! i have never seen any of lee jun kis work..but man those cranes..truck load of them! he must be doing something right..to be that popular..!! im thinking about watching il ji mae since you gave it a really good rating..
he is always so kind and never forgets to thank his fans.